Regular home cleaning services can be invaluable to the family that works away from home every day. Time is often at a premium for professionals in any field and doesn’t often leave much leisure time, let alone enough time to keep up with home cleaning. Most people schedule their home cleaning services whenever it’s convenient – not necessarily when it needs it. However, your home should be cleaned at least once a week, especially with inclement weather and the near-constant cleaning needed to stay on top of tracked-in mud and snow. Consistent home cleaning is also necessary for reasons of personal hygiene and for maintaining the home in general. Perhaps you feel as if the need for home cleaning services doesn’t justify the expense. It might help if you take a careful look at how you spend your discretionary money. Do you have a standing appointment at the salon for your hair and nails? Or you may have a weekly lunch date with your friends. Paring down in just one or two areas could easily accommodate the cost of hiring professional home cleaning services. 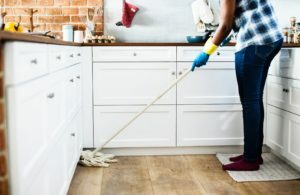 The choice is yours, and it’s not really a huge sacrifice – after all, you’re going to be coming home to a clean, fresh-smelling house after a long day at work. What’s better than that for being able to relax and enjoy time with your family rather than stress about an untidy house? Home cleaning services can have many benefits. Having friends over for a special dinner, for example, would drive most of us into a frenzy trying to get everything prepared. In addition to cleaning the house, there’s shopping for food to do and then preparing the meal. Contracting for recurring home cleaning services cuts your stress significantly; plus you’ll have the added benefit of more time to relax before everyone arrives. Miss Brightsides Maids provides efficient, affordable professional home cleaning services in Johnson County. We understand that you want to spend quality time with your family and friends without worrying about finding time for home cleaning. If you don’t have time for all that needs to get done, or if you just need some help with home cleaning services. Miss Brightsides Maids home cleaning services have been trusted in the Kansas City area for many years. 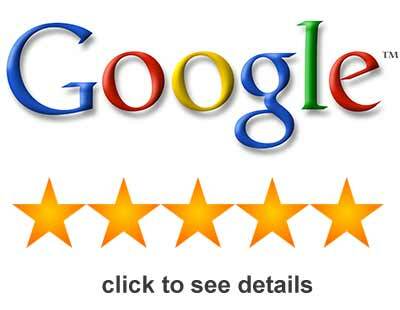 The proof of our success is our customer’s satisfaction. Call Miss Brightside’s Maids Johnson County cleaning service at 913-782-1710 and schedule home cleaning. « Why Hire Professional Window Cleaning Service in Overland Park?